Whether you run regularly, enjoy a game of pickup basketball on the weekends or hit the tennis courts in your spare time, you may experience a painful case of Achilles tendinitis. It occurs from overuse of the Achilles tendon. This band of tissues connects the heel bone to the calf muscles in the back area of the lower leg. If you’re experiencing discomfort at the back of your ankle, Achilles tendinitis may be the reason you’re finding it difficult to be active. 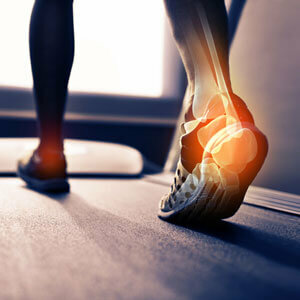 At Body Basics Chiropractic, the many techniques we may use are stretching, Active Release Techniques® and soft tissue work, targeting the calf muscles, patellar tendon and Achilles tendon. With these methods, we seek to improve the flexibility of your ankle and foot. After your sessions are complete (usually requiring a total of 4-8, though you should see progress in the first few visits), we’ll teach you exercises to prevent the problem from recurring that you can complete at home. Until your appointment, we recommend that you use RICE—Rest, Ice, Compress and Elevate—to find relief. Contact us today to book your time!